I undertook Invisalign treatment at Omnia and the whole process has been amazing. Every member of staff has been supportive and absolutely lovely. I couldn't recommend Invisalign enough, especially with Louise. Thank you for everything and those thinking about it, you definitely should get Invisalign treatment! The power of a great smile cannot be overstated. Both socially and professionally, an attractive smile can help you feel happier and more confident. You never get a second chance to make a first impression - so make yours count with a fabulous, winning smile! If you have ever wondered how improving your smile could help you to feel more confident in your personal and professional relationships, Invisalign may be the right choice for you. Invisalign allows you achieve the smile you have always wanted, without traditional metal braces. At Omnia Dental Spa we take great pride in creating naturally beautiful smiles for our clients and Invisalign is one of our most popular orthodontic treatments. Omnia Dental Spa is one of the leading clinics for Invisalign treatments in the Wythall, Solihull and Birmingham areas. 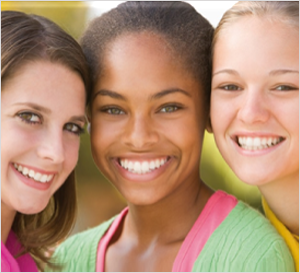 We are certified to provide Invisalign treatment for both adults and teenagers. 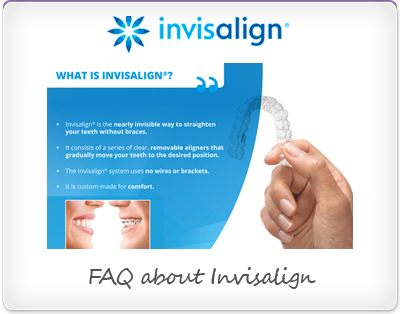 Please click on the links below to view a video and an informative slideshow presentation that answers some of the most common questions about Invisalign braces. Do you want more information about Invisalign? Great! Please continue reading . . .
Invisalign is a method of orthodontic treatment that uses a series of clear, removable aligners as an alternative to traditional 'fixed' metal braces. 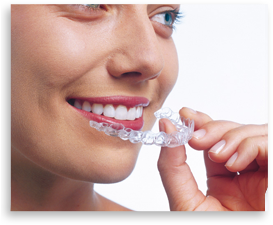 Invisalign allows you to straighten your teeth without being seen wearing braces. 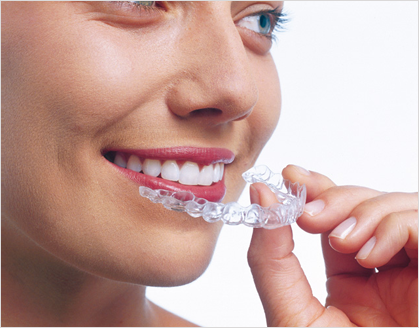 The clear, removable aligners gradually move your teeth to the desired position. 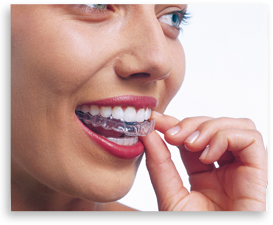 The Invisalign system is metal-free as it does not use any metal wires, brackets or bands to reposition your teeth. In addition, each aligner is completely bespoke and is custom-made to fit your teeth. This ensures a very precise and comfortable fit. The Invisalign aligners are transparent and virtually invisible from a social distance, so hardly anyone will be able to tell that you are straightening your teeth. This feature makes Invisalign a very popular choice for both adults and teenagers who want to perfect their smile without the embarrassment and inconvenience associated with traditional fixed braces. The aligners are removable, so you can eat and drink what you want. Brushing and flossing are not affected, so you can maintain your dental hygiene as normal. 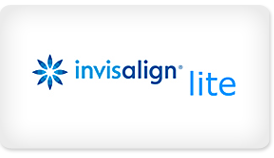 Invisalign also offers a greater level of comfort during treatment as the aligners are completely smooth and there are no metal wires, brackets or bands to cause irritation or mouth ulcers. Invisalign is a well-established and tried and tested system with hundreds of clinical studies to verify its effectiveness. Over 2 million people, worldwide, have improved their smiles with Invisalign. Now, it's your turn! The features, benefits and advantages offered by Invisalign braces are summarised in the table below. 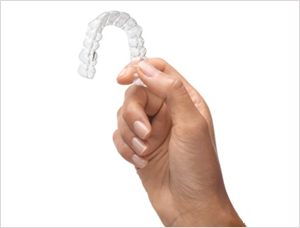 A complete set of Invisalign aligners are custom designed and manufactured to fit your teeth. Each aligner is slightly different and is designed to move your teeth gradually into the desired position. 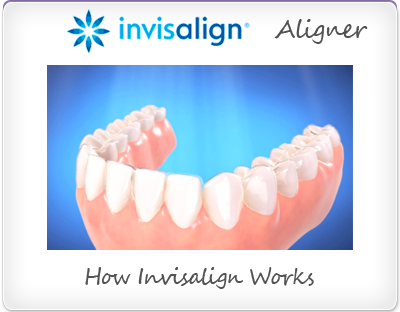 Please click on the link below to see a demonstration of how the Invisalign aligner technology works. You wear each aligner for two weeks, before moving on to the next in the series. The aligners are only removed to eat, drink, brush and floss. Treatment with Invisalign can be quicker than with traditional fixed braces. The actual treatment time will vary from person to person, but as a guide, the average Invisalign treatment time is 9-18 months. However, simple treatment, such as mild crowding or mild spacing, can take as little as 6 months. During treatment you will need visit us once every 4-6 weeks so that we can monitor your progress and issue your next 2-3 sets of aligners. Once Invisalign treatment is complete, retainers that are manufactured from a similar plastic material must be worn at night in order to maintain your new smile and to prevent any unwanted tooth movement. 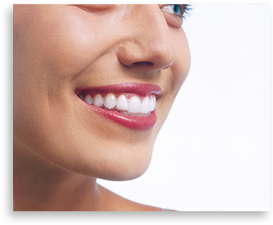 Invisalign can be used to treat the majority of people who would like to improve their smile. 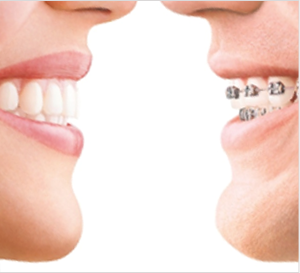 Invisalign is suitable for both teenagers and adults. Adults orthodontics - It's never too late to improve your smile. If you would like to know if you can improve your smile with Invisalign, please contact our reception team to arrange a FREE Invisalign consultation with our orthodontist – Dr Louise Gidda. 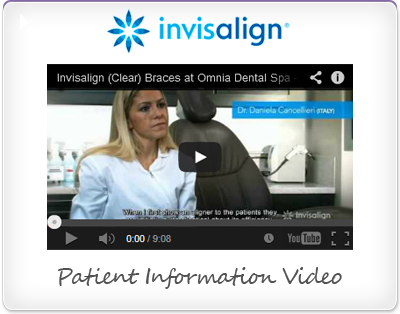 What is the Invisalign treatment process at Omnia? The first step is to book a FREE Invisalign consultation with Dr Louise Gidda to discuss your concerns and plan your orthodontic treatment. Whether your smile needs minor improvement or something more extensive, Invisalign can help you achieve your dream smile. Treatment planning begins by taking an iTero digital scan, x-rays & photographs of your teeth. These diagnostic records are sent to Align Technology in California. The Align technicians then program the required tooth movements based on Dr Louise Gidda's prescription. The movement of each individual tooth is planned from its current position to the final desired position. Specialist computer software then simulates the movement of your teeth in stages. The resulting 3D virtual animation is called the 'ClinCheck' and it allows you to visualise the proposed treatment, and discuss it with Dr Louise Gidda, before you actually commence treatment. 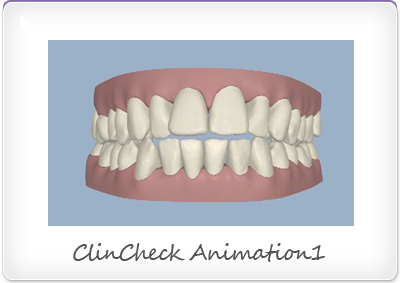 The ClinCheck technology is unique to Invisalign and is a major benefit of Invisalign treatment as it allows you to see the end result, i.e. your new improved smile, before you commit to the treatment plan. 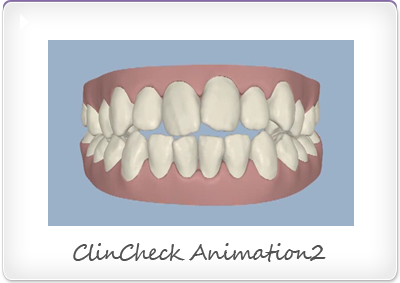 Please click the images below to view some ClinCheck animations for patients that we have recently treated at Omnia Dental Spa. Once you've reviewed the ClinCheck and agreed your Invisalign treatment plan. The ClinCheck is 'accepted' by Louise and a complete set of custom-made aligners are manufactured to fit your teeth. The aligners are then shipped to Omnia Dental Spa. Each aligner in the series is slightly different and they will gradually move your teeth into the desired position. You wear each aligner for two weeks, before moving on to the next in the series. Each aligner is worn for 22 hours per day, although, they can be removed to eat, drink, brush and floss. During treatment you will need a review appointment with Louise every 4-6 weeks in order to monitor your progress and to collect the next 2-3 sets of aligners. This routine will continue until your treatment is complete and your fabulous new smile has been achieved. Once active Invisalign treatment is complete,Vivera retainers must be worn at night in order to maintain your new smile and to prevent any unwanted tooth movement. Then all that remains is . . . to show off your beautiful new smile! 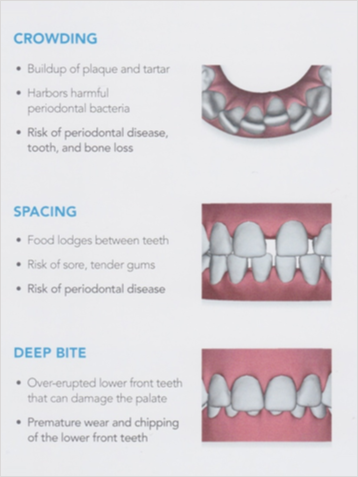 The images below illustrate some common types of malocclusion and the potential problems that they can cause. Fortunately most malocclusions can be successfully treated with Invisalign orthodontics. Invisalign is a custom-made appliance and it is not possible recommend a specific Invisalign treatment without first examining the patient's teeth. However, at Omnia Dental Spa, we believe in transparent pricing with no 'hidden' additional fees. Unlike many other dental practices, we do not advertise our prices as 'starting from', we believe this can be misleading and confusing for our patients. The prices listed below are the prices that you can expect to pay for Invisalign treatment at Omnia Dental Spa, with no unwelcome surprises! At Omnia Dental Spa we offer flexible payment options as part of our commitment to deliver high quality, affordable dental care. Our team will work with you to agree a payment plan that is best suited to your needs. Interest-free and affordable payment plans allow you to spread the cost of your treatment. 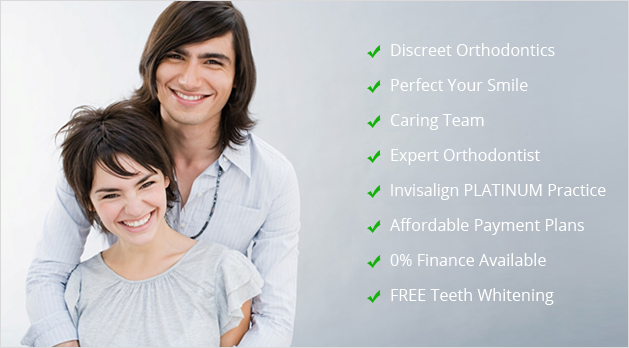 This enables you to have the Invisalign treatment you want immediately and pay for it with affordable monthly payments that suit your budget. How can I get more information about Invisalign? If you would like more information about the various Invisalign treatment options, please call our reception team on 01564 822224 to reserve a FREE initial consultation with our orthodontist, Dr Louise Gidda. Louise will discuss your concerns and requirements and then suggest the most suitable treatment options that are available to you. Louise will also be able to answer any additional questions that you may have about your orthodontic treatment. As part of Omnia's commitment to adopting the latest technology for the benefit of our patients, we are very pleased to announce that we have recently invested in Invisalign's revolutionary digital scanner - the iTero Element. The iTero Element laser scanner allows us to digitally scan the teeth rather than take conventional putty impressions. So, there is no gagging, no mess and no worries! You can then view your new, improved smile within a few minutes of the scan being completed. Please watch the video for more information.